Danny is a public safety and security professional with over 35 years industry experience and specializes in counter terrorism and crowded places strategies for cities, major events and venues. Danny has extensive experience in the integration of risk mitigation strategies between risk owners and key stakeholders. 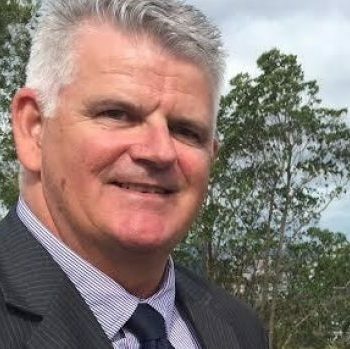 The combination of an extensive law enforcement career with the Queensland Police Service and mega event experience as Head of Security for the Gold Coast 2018 Commonwealth Games has provided Danny with demonstrated specialist skills in: Portfolio, Program and Project Management; ability to deliver major safety and security programs on a large scale; complex risk mitigation integration planning and delivery; infrastructure design, procurement and installation; counter terrorism, disaster management, and cyber security. Danny will provide an interpretation of the Australian government’s Strategy for Protecting Crowded Places in the context of event and venue management. He will discuss the planning framework and where vulnerability assessments must be undertaken. Only then can an event be overlaid, and as such, the planning develops from conceptual to implementation. Danny will join a panel of safety experts, across a broad intersection of safety companies, to discuss the risk areas concerning the events sector including readiness testing, crowd management, safety, security, risk management, compliance and vigilance. They’ll cover issues from the perspective of both the general security environment and the internal operations of undertaking an event.